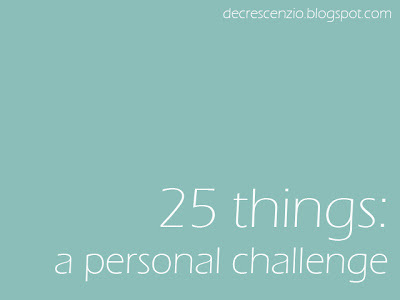 I'm linking up over at Mary Louise's blog for this personal challenge. Side note: not only does Mary Louise have a cool blog, she's also my cousin IRL. Pretty cool, I think! 1. I hate (and I use the word hate with all the severity ever intended by the word) lettuce. 2. I am a very organized person. However, usually my car is not organized. I don't know why but this is the only area in my life that I can never seem to keep mess-free. Sigh. 3. I really despise when people put political stuff on Facebook. Keep it to yourselves! 4. On the contrary, I do enjoy politics and debating them with people. But not on Facebook. That's lame. 5. I loathe bandwagon things. As a matter of fact, I will purposefully not see a movie, read a book, follow a team, etc. that is popular at the time. There is just something in me that doesn't like "following the crowd". 6. This /\ is probably why as a 27 year old woman, I've had two, yes, two My Little Pony cookie cakes in my adult life. 7. I love football. Other sports, in my opinion, are inferior. 10. I seem to have this internal gauge that allows me to tell when people genuinely compliment me or when they compliment me in order to get or accomplish something. 11. I am obsessed with the following things: perfume, men's cologne (though I don't wear it), magazines, cardigans, ballet flats, chocolate and blogging. 12. I don't eat nuts. 13. I once dressed as Charlie Chaplin for Halloween. What. the. heck. mom! 14. I hardly ever leave the house without mascara. Otherwise I look dead. Seriously. 15. I've been a smartphone owner for less than a year. Yep. Up until Thanksgiving of 2011, I was rocking a feature phone, baby! 16. Socks annoy me. Mine are often mismatched. 18. I've been a brunette, redhead and a blonde before. I'm a natural blonde and there's just something about it that works for me. 19. In my lifetime I will meet Paula Deen and Drew Brees. I just know it! 20. I can't drink Coke Zero. Something about it absolutely tears my stomach up. It gives me horrible stomach cramps and pain. But it is so good! 21. I'm really awesome at the game Cranium because I can hum well, sort of draw and spell things backward. 23. I've had an Ace Ventura-themed birthday party before. Alrighty then! 24. I don't eat weird meats. I'm big on the pig. I chow on the cow and I like lickin' the chicken. Oh and I'm a fan of turkey too. (sorry, not many things rhyme with turkey) But you won't catch me feasting on bison, venison, duck, pigeon or other strange birds, alligator, rattlesnake or deadly reptiles. Also, nothing cuddly, cute and baby. So, no veal or lamb. Yuckola. 25. Most of my favorite flowers are really unusual: ranunculus, himalayan poppy and plumeria. Of course, then I also love the traditional daffodil. Oh, I almost forgot. Come back tomorrow (Friday) for a new DISNEY FASHION POST! YAY! #5 - I understand what you mean. However, if what's popular happens to match up with what I like, I won't avoid it. For instance, I have been a HUGE fan of J and YA fantasy since my dad read The Lion, the Witch, and the Wardrobe to me when I was 3. Over the past decade my interests have matched up with popular books/movie (Lord of the Rings, Harry Potter, The Hunger Games). #13 - I went trick-or-treating exactly 1 time as a child. What. the. heck. mom!